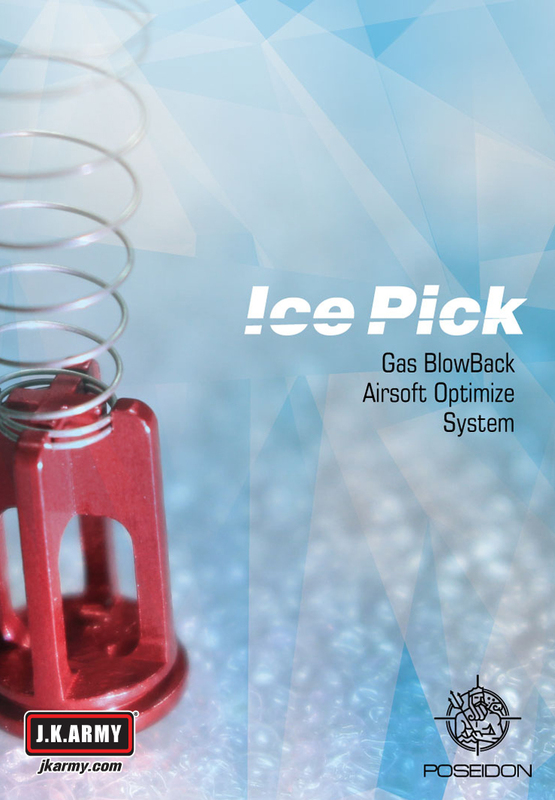 The new revolutionary product - Ice Pick Flute Valve by Poseidon, designed to sharpen the performance, efficiency and operation of your Tokyo Marui/WE Gas Blowback pistol. Item Requires professional installation by an Airsoft Gunsmith. Improves cold weather performance allowing less gas consumption and more shoots. R is a fix numerical value, n=mol (assume it’s a fix number too), V=volume, the gas magazine’s chamber is fixed too. When the temperature is getting higher, the gas pressure is bigger, and the recoil of GBB is harder and more fun, also you can fire more shots. On the other hand, colder and smaller, more gas is used to complete the bolt and nozzle cycling. In summer time, gas vaporization is better, and the magazine is in the higher temperature condition. But, winter doesn’t! There’s another important factor. The system of GBB’s loading nozzle and flute valve. The gas goes from the magazine into the loading muzzle (pressure). Traditional design has an old problem. When the pressure is low, the pressure will comes from the liquid gas in the magazine (discharge or hydrology) for replace the lacking of pressure. In the other words, when pressure is low, the hydrology comes into the loading muzzle lead to spraying gas. Once in the spray gas condition means your GBB is in low temperature malfunction, and the trajectory is unstable! 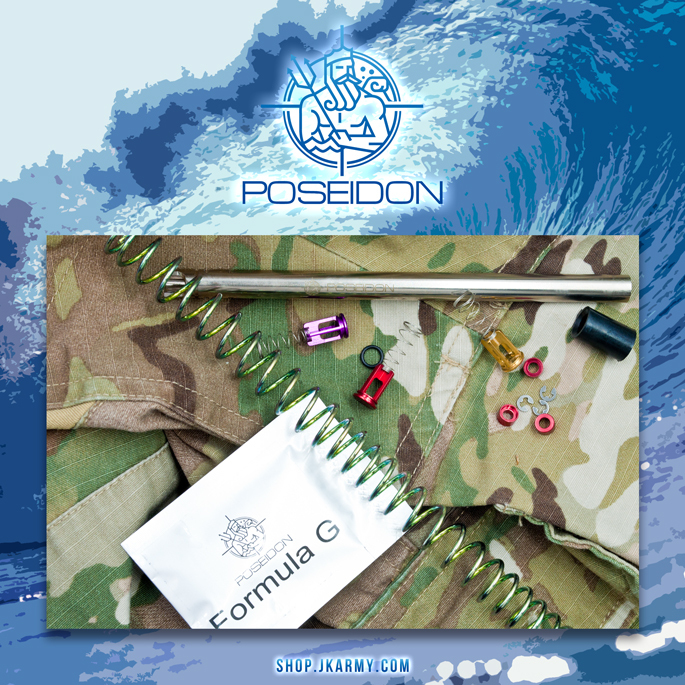 Poseidon’s Ice Pick system was basically designed for upgrade Tokyo Marui’s gas blowback system, and our solution is close the flute valve before the negative pressure was generated and will not waste any pressure! 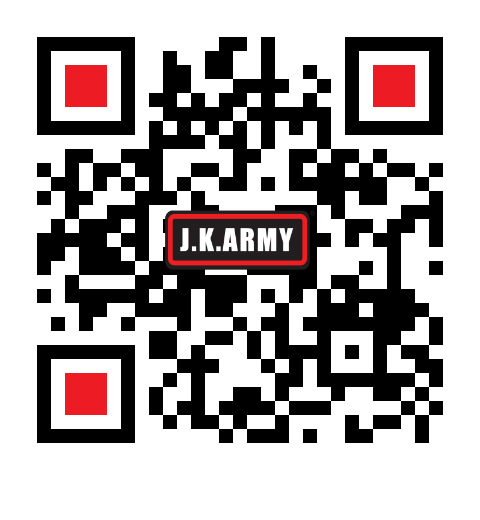 Emphasize again! Gas is air, hydrology is liquid, and never let the hydrology into the GBB’s flute valve! That’s what ICE PICK system’s main function! We have tested the ICE PICK system in North America and Canada perfectly! In the Celsius 10 and 8,by using the BBQ green can gas,we can clean a pistol magazine in semiauto,have more fun by GBB in winter!